TWO MORE PERKS ADDED! A T-SHIRT! My name is Zack Finfrock and I'm an actor/filmmaker/videogamer. 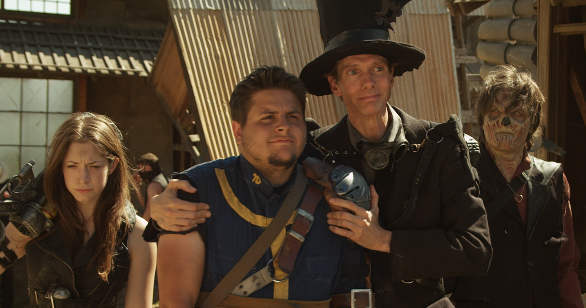 Last year, I released the first season of a webseries, which was co-written by Brian Clevinger, entitled "Fallout: Nuka Break" that was completely funded by fans. If you haven't heard of it or seen it yet, please take the time to watch it here. We received amazing feedback from our audience and our fans, and we'd love to shoot the next season. We can do this with your help! 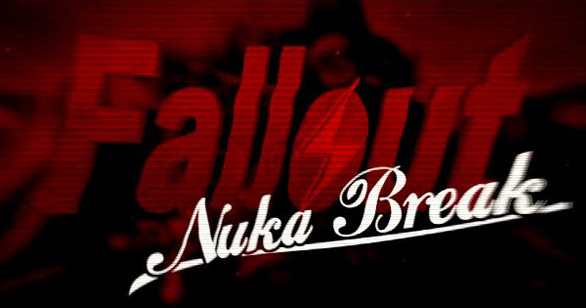 We'd like to raise $60,000 for the production of the second season of "Fallout: Nuka Break." The money donated will go towards production, locations, props, visual effects, special effects, etc. We've got a whole lot of cool perks, so please take a look at what we're offering! Spread it to the Masses! If you'd like to see this become a reality as much as we do, but can't donate (or already have), please feel free to share this with everyone you know! Spread the word via facebook/twitter/videogame forums/blogs/news outlets or any other place that more people will find out about it. Don't forget, Kickstarter has some great "share" options right under the video, so check them out and spread the word! 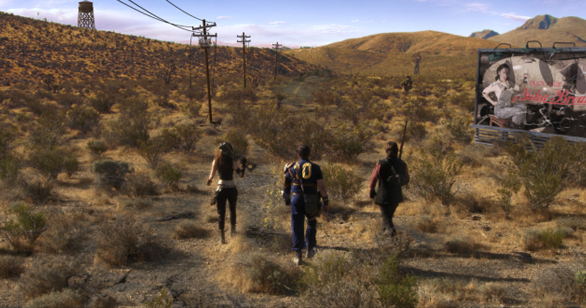 Fallout: Nuka Break is a unofficial fan film and series made by Fallout fans. Fallout and all related things are TM and Bethesda Softworks LLC, a ZeniMax Media company. Our heartfelt thanks, and your name in the "Special Thanks" section of the credits. The previous perk, as well as the first AND second season (once it's completed) in full HD digital download form. The previous perks as well as the first AND second season audio commentary (once it's completed) in full HD digital download form. The previous perks as well as a Nuka Break T-Shirt. The T-shirt will not be available anywhere else. The previous perks, as well as a mini movie poster signed by the cast. The previous perks, as well as a signed DVD of the full season (when it's completed). The DVD will also include other goodies like Behind the Scenes and commentary! The previous perks, as well as a signed DVD of the first season. Everything from the previous perks, as well as a full sized movie poster signed by the cast, a "special edition" DVD and a "Very Special Thanks" credit! You'll also receive a small prop used on the show, like some bottle caps, Jet, etc! Everything from the previous perks, as well as a replica of the PIP-Boy 3000 worn by Twig, signed by the cast! Everything from the previous perks, as well as a “That Gun” prop used by Twig, signed by the cast!